In November 2017 a friend and I visited Toodyay, one of the earliest settled areas in Western Australia. Seeing a ‘story board’ about Captain Henderson in an excellent exhibition in the Old Newcastle Gaol, sparked my interest in the role the sappers played in the building of convict depots and their ongoing role as instructing warders to the convicts. What followed was a lengthy process of identifying the sappers who were stationed at the convict depots from January 1852 to December 1855. On the same trip I noticed a publication for sale in the Toodyay Visitor Centre. 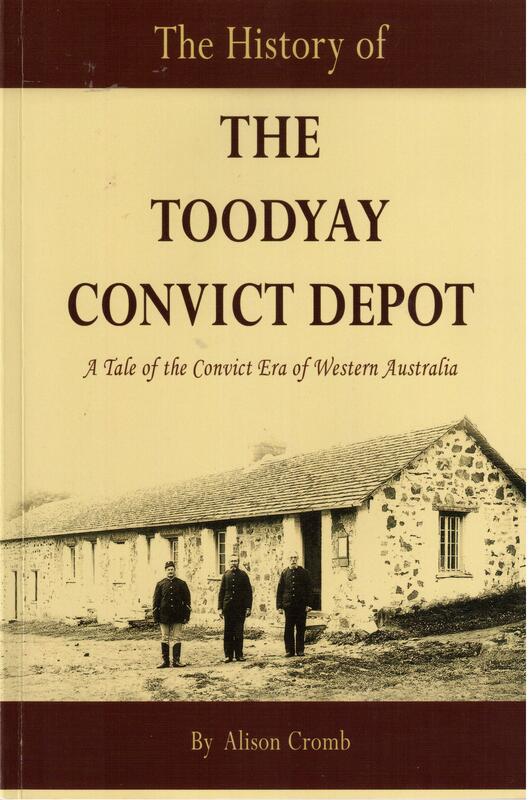 Over the next many months I realised Alison Cromb’s history of the Toodyay convict depot was a heavily quoted source by anyone researching this era in the Eastern districts of Western Australia. In February 2018 I met Alison at Fremantle Prison at the launch of the Panopticon Project. Following this meeting, Alison and I have explored many facets of the British Army’s presence in Western Australia. When I asked Alison if she would be a guest writer for this website, she did not hesitate. Her contribution – The Toodyay Convict Hiring Depot – indicates the depth of her knowledge on the topic. 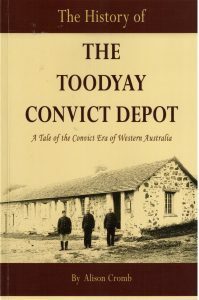 The History of the Toodyay Convict Depot: A Tale of the Convict Era of Western Australia, Alison Cromb, Dianella, WA, 2010. The Road to Toodyay: A History of the Early Settlement of Toodyay and the Avon Valley of Western Australia, Alison Cromb, Dianella, WA, 2016.